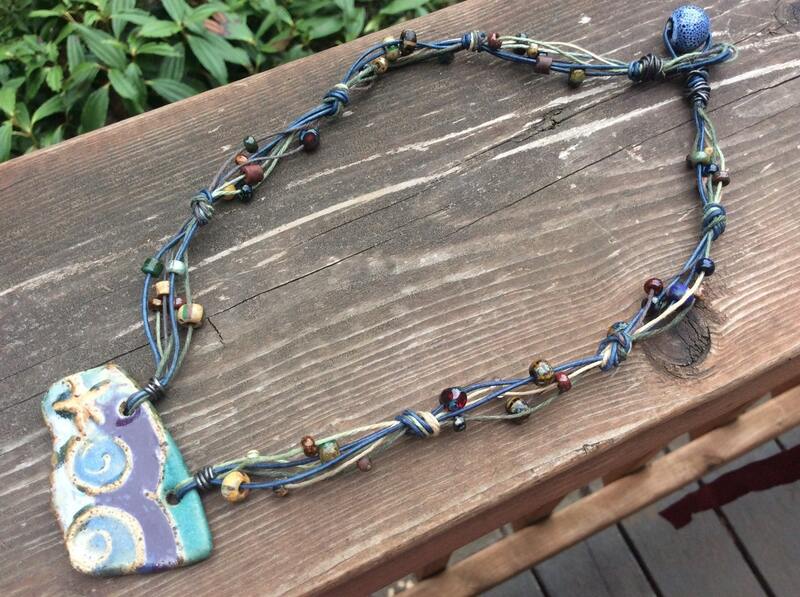 Six strands of hand tied hemp are the structure for this lovely boho necklace....I used Czech Picasso Beads and a hand made ceramic pendant from Lisa Boucher. 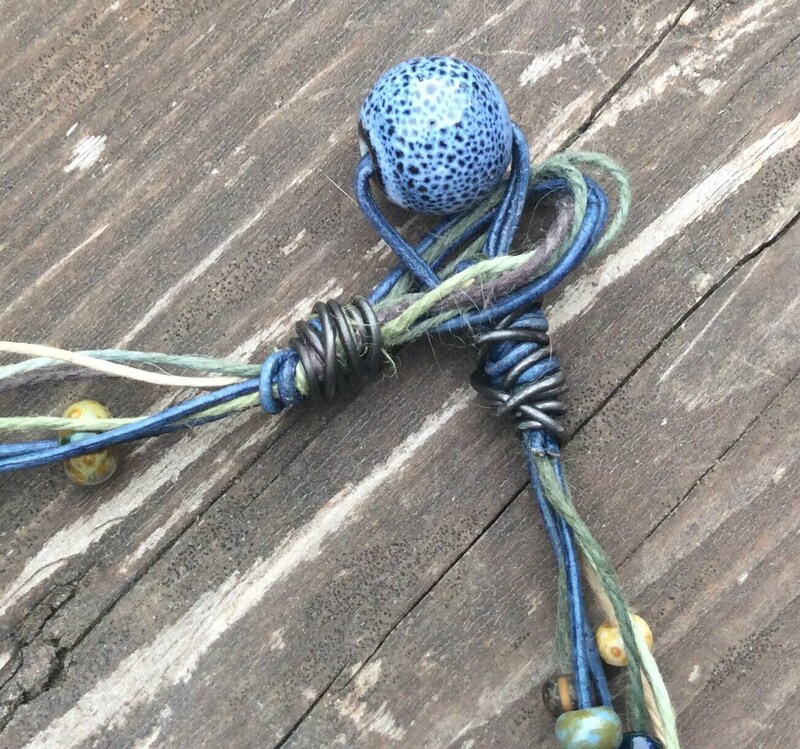 Each strand of this beach-y necklace has a Czech bead floating between each hand tied knot. Each bead hand chosen, for continuity of color and style. The hemp cord is variegated in color, from sand to brown and dark green. The pendant, which measures 2" x 1", hand made by Lisa Boucher. A very talented artist from Ceramic Art Bead Market. 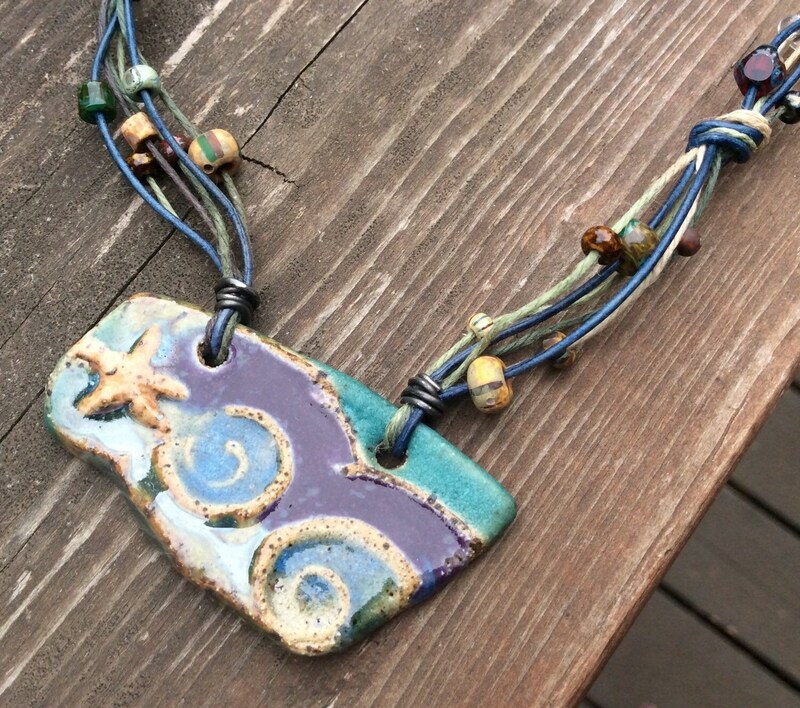 Stylized waves and a starfish grace the front in a was of blue, green, sand and purple. I used annealed steel wire to hold the hemp cord at the pendant and the clasp. 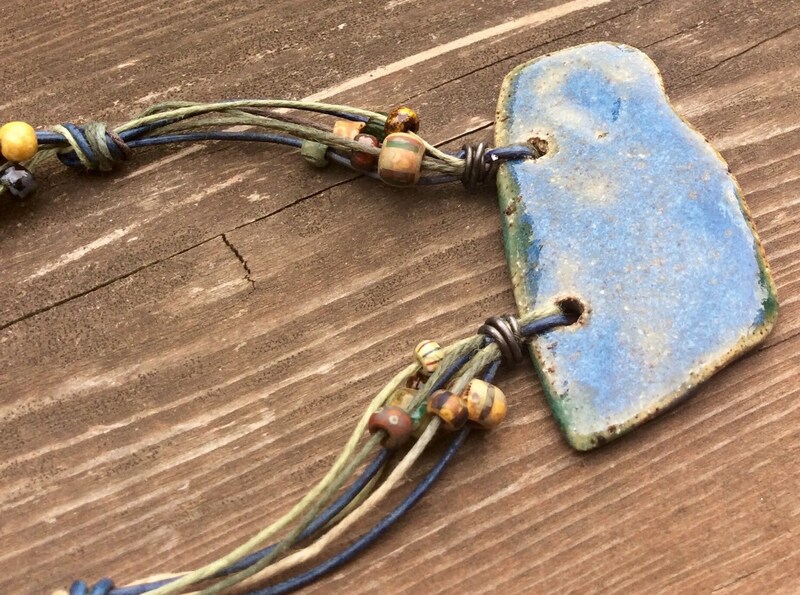 I used a blue and white specked ceramic bead for the clasp. The earrings are very simple and lightweight. Using the same hemp cord as the necklace, knotted and floating Czech beads. I made he ear wires from the same annealed steel used in the necklace. The earrings are 4" long, from the top of the ear wire.